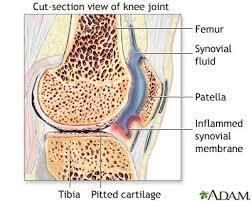 Biologic Joint Reconstruction, rather than bionic (artificial) replacement, may be an appropriate first step for many people with knee joint arthritis, Kevin R. Stone, MD, chairman, the Stone Research Foundation stated at the AAOS. The procedure involves combining articular cartilage repair techniques such as stem cell paste grafting with meniscus allograft replacement. Dr. Stone presented on a long-term meniscus allograft follow up study involving 115 patients (119 cases; 83 males, 32 females; average age: 46.9 years, range: 14.1 – 73.2 yrs) with severely damaged articular cartilage. Patients underwent combined meniscus allograft transplantation and articular cartilage repair and were followed for an average of 5.8 years (range: 2.1 months – 12.3 years). Patients reported their pain, activity, and function levels using validated subjective outcomes assessments before surgery and then at 2, 3, 5, 7, 10, and 12 years after surgery. Significant improvements in pain, activity, and function were found over the course of follow-up; indicating that patients improve significantly within the first 2 years after surgery and that these improvements are maintained over time. Kaplan-Meier survival analysis calculated average procedure survival time at 9.93 years.